Duanette won Race 3 - Maiden over 1100 metres at Warrnambool's Port Fairy Cup Meeting before a storm hit the course and the meeting was abandoned. It was a nice ride by claiming apprentice Justin Huxtable in a field of 16 to win by 1.25 lengths. It is the fourth winner Justin has ridden for our stable since 10/09/17. 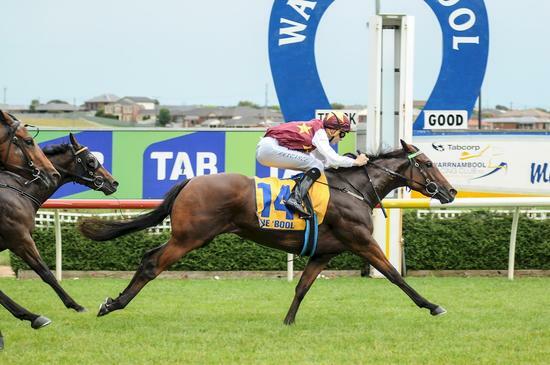 Duanette has now had six starts for one win and one second placing. She is half sister to former stable favourite "Duaneo" who was sold to Hong Kong.